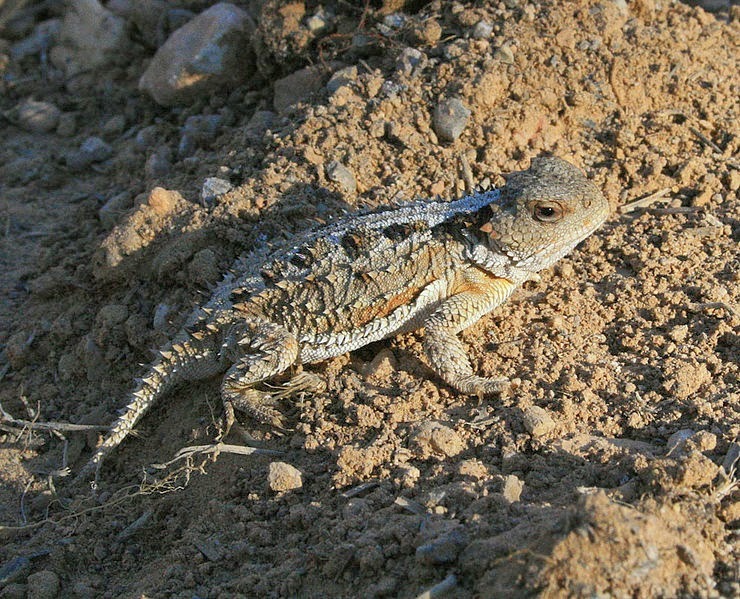 The Short-horned Lizard is a small lizard species that lives in North America, in Saskatchewan and Alberta Canada, through Montana, Utah, Colorado, Arizona, New Mexico and into Mexico through northeastern Sonora, Chihuahua, and Durango. The creature is best known for having one of the weirdest defensive mechanisms out there, and that is the ability to shoot blood from its eyes! Video showing a short-horned lizard squirting blood from its eyes ! It is a highly variable species with individuals exhibiting many differences in colour, pattern and size, depending on their geographical location. 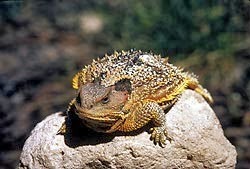 They are flat-bodied, squat lizards with short spines crowning the head. Their length (from snout to vent) ranges from 2 to 5 inches (5-12.5 cm) while their colour may be gray, yellowish, or reddish-brown. There are two rows of large dark spots on the back and they have a snub-nosed profile and short legs. Their trunk is fringed by one row of pointed scales, while the belly scales are much smoother. Female are larger in size than males. Females have an average length of 7 cm (~ 2.75 inches) from snout to vent with a maximum recorded length of about 15 cm (6 inches) and weigh about 18 g, whereas males have an average snout to vent length of about 5 cm and an average weight of 10 g.
It takes about 1 year for males and 2 years for females to attain sexual maturity. From the currently available data we know that females can live for at least 5 years. The lifespan of males remains unknown. They are arid mountain dwellers with a high cold tolerance, living in altitudes of 170 - 3440 m (557 - 11286 feet). The species is diurnal, being mostly active during mid-day and burrowing at night. They are usually found in a wide range of habitats like short grass prairies, sagebrush deserts and juniper, pine or fir forests. The soil in these habitats can be stony or rocky but usually has fine loose soil or sand present. Since females have a greater bulk, they tend to eat larger and more varied prey items. As a first line of defense, they rely on their natural camouflage. If this fails, they inflate their bodies to double their original size, resembling a spiny balloon. They will also hiss and point their horns forward. As a last line of defense, they will squirt blood from ducts in the corners of their eyes. This not only confuses their potential predators giving them time to escape, but also repulses them, as the squirted blood contains a chemical that is noxious to dogs, wolves, and coyotes. Their aim is very accurate and can hit targets in a distance of up to a meter. Jump to 1:46 for some cool blood squirting eye action ! The species is viviparous, meaning that they give birth to live young. Their mating season is in Spring (May to June) and after a gestation period of about 3 months, females give birth to 5-48 offsprings from July to September. Newborns have an average length of 2.4 cm (almost 1 inch) and an average weight of 1 g. They are born in a clear amniotic sac from which they must first break free. Although the species is currently not threatened or endangered, their total population has declined during the past decades. Habitat destruction and illegal collection are to be mainly blamed for this. In the state of South Dakota they are listed as "rare". In Canada the species is listed as "vulnerable" by the Committee on the Status of Endangered Wildlife in Canada. In Canada, their habitat has been altered and consequently recuded by grazing cattle, or by mining oil and gas activities. 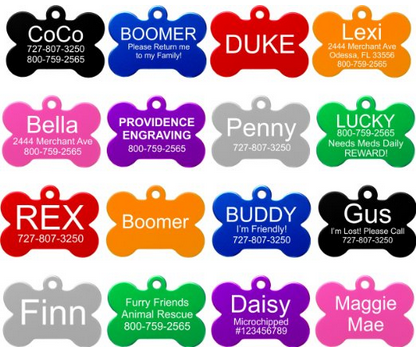 Their exact adult population is unknown but surely exceeds 10,000 and most probably exceeds 100,000 individuals. - Like other horned lizards species, it is often referred to as the "Horned Toad" or "Horny Toad," due to its squat, flattened shape and short, blunt snout which give it a toad-ish look. Lizards are reptiles, toads are amphibians, hence this is wrong. - The greater short-horned lizard is very often mistaken for its close relative, the pigmy short-horned lizard (Phrynosoma douglasii) which has the same basic body type, with small pointed scales around its head and back. In the past they were considered to belong to the same species, however mitochondrial DNA examination proved this to be wrong. The photo at the top may actually be of a pigmy short-horned lizard, distinguishing the species just from a picture is very difficult!